Quite often, I see patients with astigmatism who think they can’t have laser eye surgery. 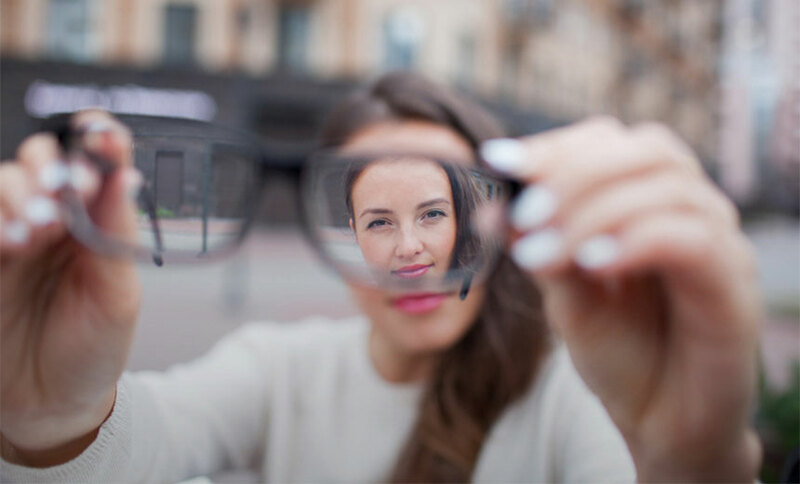 This misconception stems from the early days of laser vision correction – but the truth is that laser eye surgery has been able to correct astigmatism for many years now. Astigmatism is a refractive error that is caused by a dual curvature of the front of the eye (the cornea). A normal eye is round like a soccer ball. This shape allows light to enter as a single ray and focus at one point on the light-sensitive tissue at the back of the eye (the retina), which produces a clear image. When a person has astigmatism, their eye is shaped more like a rugby ball. This shape causes light to enter the eye at two points, so it doesn’t focus at one point on the retina. The result is blurred or fuzzy vision. Astigmatism is extremely common – in fact, most people have some degree of astigmatism. For the majority of people, mild astigmatism does not cause significant vision changes and therefore does not need correction. However, when astigmatism causes blurred or distorted vision, correction is necessary. It is quite common to have astigmatism together with short-sightedness (myopia) or long-sightedness (hyperopia). The main symptom of astigmatism is blurred vision at all distances. You may also experience headaches, squinting, fatigue after reading and eyestrain. An optometrist can diagnose astigmatism during a routine eye exam. There are three options to correct astigmatism – glasses, contact lenses or laser eye surgery. Prescription glasses or contact lenses can correct astigmatism (along with long-sightedness or short-sightedness, if necessary). Alternatively, laser eye surgery can correct astigmatism and give you clear vision. The three laser vision correction procedures that I offer at Vision Eye Institute – LASIK, ASLA and SMILE® – can all be used to correct astigmatism. If you also have short-sightedness or long-sightedness, these can typically be corrected at the same time. How does laser eye surgery correct astigmatism? During laser eye surgery for astigmatism, a laser is used to remove a small amount of corneal tissue to correct the curvature of the front of the eye. In other words, making the eye’s shape more like a soccer ball and less like a rugby ball. This allows light to now focus on the retina at a single point, giving you clear vision. Read more about how laser eye surgery works here. Can everyone with astigmatism have laser eye surgery? Most people with astigmatism who meet the basic eligibility criteria will be able to have laser eye surgery. In some cases, a person’s refractive error (glasses prescription) is too high or too irregular for laser eye surgery. After a comprehensive examination, a laser eye surgeon will tell you whether your astigmatism can be corrected by laser eye surgery, and which type of laser eye surgery is most appropriate for you. This depends on the health and thickness of your cornea, as well as your lifestyle factors. Patients with astigmatism who are over 55 may be better suited to lens exchange surgery, rather than laser eye surgery. During lens exchange or cataract surgery, the eye’s natural lens is removed and replaced with an artificial lens. Toric lenses are a type of replacement lens that can correct astigmatism. Read more about cataract and lens surgery here. Is laser eye surgery for astigmatism safe? Millions of people with astigmatism have had laser vision correction and studies show that LASIK, ASLA and SMILE are low-risk, effective procedures for people with this type of refractive error. Ongoing improvements in the technology that we use for laser eye surgery continue to reduce the rates of side-effects and other complications. Read more about the safety of laser eye surgery here. Ultimately, to find out if you are suitable for laser eye surgery, the next step is to book a consultation with a surgeon to see if you meet the eligibility criteria. At least, now you know that astigmatism can indeed be fixed by laser eye surgery. Associate Professor Chan is a refractive, cataract and corneal eye surgeon with more than 16 years of experience. He is an internationally recognised expert in vision correction procedures and corneal conditions such as keratoconus, pterygium and dry eye.